I have a question to you fellow freelancers. I have clients who awarded me for projects. Then become silent. Never giving any tasks. Or reply to messages. Not sure why they awarded..
Also worked with a couple and had payment and positive comments that it was well done. Then I write and ask if they need me for more tasks. But no reply. If a client doesnt respond. What to do ? Close project from my end ? Is that bad for my feedback here ? It has annoyed me for some time. When the client becomes completely unresponsive, or never sent any work, it's best that you end the contract at some time from your side. The client will receive an email and they can provide feedback at that point, but it's unlikely that they will. You have a large number of contracts, so any impact will be small. 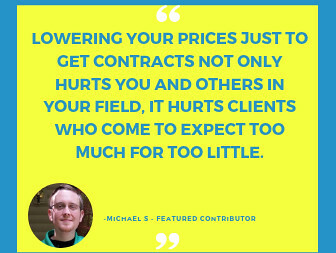 Contracts without money paid are generally not good - upwork counts them as bad outcomes - but still they will not impact you that much. NEVER accept a contract without having everything you need to do some work, either the first milestone, or log time. Contracts with nothing paid DO affect your JSS, and it does not matter if you leave them open (then they hurt your JSS after 2-3 months) or close them before the 2-3 months point (then they hurt your JSS when you close them. But "nothing paid" contracts are bad. It is annoyng with contracts like that. And you do all you can from your side to contact. I will go through the contracrs. And close those which has been paid. And they told they were happy with work. I am new to Upwork (two days old) so I apologize if this information is readily available. How is it possible for the client not to pay the freelancer? 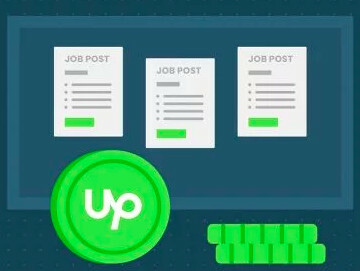 Isn't there like a pay-security thing in place where the client deposits the money which Upworks secures, and then the money is released upon work completion? re: "What is your JSS?" "JSS" is an abbreviation for "Job Success Score." 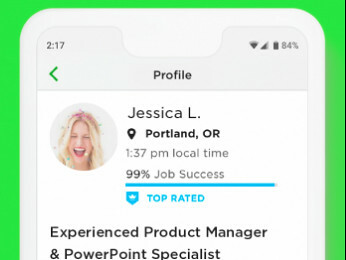 It is a number posted on freelancer's profiles after they have completed enough jobs. The purpose of this number is to help clients differentiate between freelancers. re: "How is it possible for the client not to pay the freelancer?" It's basically NOT possible for a client to "not pay" a freelancer - if the freelancer follows the rules and uses best practices. But if a freelancer makes mistakes, such as working without a contract in place, then it IS possible for a client to "not pay" a freelancer. re: "Isn't there like a pay-security thing in place where the client deposits the money which Upworks secures, and then the money is released upon work completion?" But sometimes freelancers are so eager to get started, they rush in and start using Upwork without knowing how it works. Personally, I think THAT IS SORT OF OKAY. As long as the freelancer is willing to take a few lumps and maybe do a few jobs that they don't get paid for, learning by doing and making mistakes is a REAL WAY TO LEARN. I don't think it is ideal. I don't want that to happen. But I am not so unrealistic that I believe anything can be done to prevent some people from trying out the tool before they read the instructions. I am willing to admit that learning by reading the instructions and learning by doing and making some mistakes can be two paths which lead to the same knowledge. Thanks, Preston, for your reply, it certainly answered my questions! I understand JSS is rather important then. Good to know. To your last point, yesterday I got a job offer and I was more than halfway done with it before I actually found and clicked on the "accept project" button. Now it is listed in my Contracts, but there is nothing in Terms and Settings. I have submitted the job for payment within deadline (though there is no deadline listed in the contract) then I assume that it is going to okay, especially given that is a fixed price project, and the money has been deposited (though not released to me yet). All that to say that, even though a lot of learning does indeed happen through learning, maybe I should still take a look at the instructions. However, there is a lot of information here on Upwork, and I am still very much finding my way around. Would you by any chance be able to let me know what is the most essential to read and understand before diving head first in at the deep end? And where is said information found? re: "To your last point, yesterday I got a job offer and I was more than halfway done with it before I actually found and clicked on the "accept project" button. Now it is listed in my Contracts, but there is nothing in Terms and Settings. I have submitted the job for payment within deadline (though there is no deadline listed in the contract) then I assume that it is going to okay, especially given that is a fixed price project, and the money has been deposited (though not released to me yet)." It sounds like this should be just fine. If there was money funded in escrow, and if you used the green "Submit Work / Request Payment" button, then you will be paid for your work. The client actually told me I could just send him the file over the chat, but I went ahead and submitted via the green "Submit Work / Request Payment" button anyway. Now I am really glad I did. Thanks, that is valuable to know. re: "The client actually told me I could just send him the file over the chat, but I went ahead and submitted via the green 'Submit Work / Request Payment' button anyway." It is ALWAYS a good idea to send work to the client in a way that she requests. Send via chat? That's fine. Via Dropbox, Google Drive, FTP, Upwork Messenger, etc.? Yes. Do that. But ALWAYS use the green submit button ALSO. And don't wait for you the client to tell you that something is done. YOU ARE THE PROFESSIONAL. You know when you completed the task. When you complete the task, submit using the green button. If the client sees something that needs to be fixed, the green button lets her ask you to fix it. Otherwise, that green button is what starts the countdown to you receiving your money, EVEN IF the client does absolutely nothing.